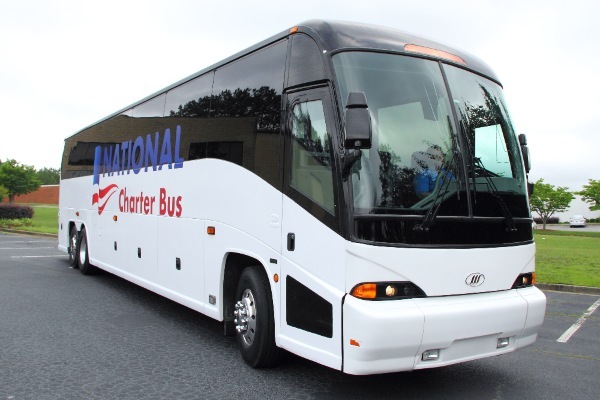 For group travel in and around Nashville, call National Charter bus to get you there safely and on time. We're trusted by hundreds of satisfied customers across Tennessee, and we know you'll be one of them once you try our charter bus services! Call us today at 629-213-0794 to receive your free, no-obligation quote and answers to any bus transportation questions you may have. If you're traveling with a large group, public transportation and carpooling cause more trouble than they're worth. National Charter Bus makes it extremely simple for families, friends, students, business owners, wedding parties, sports teams, senior citizens, and more coordinate motorcoaches for their trips throughout Tennessee. Rent a charter bus to ride around The Music City in style and comfort. Visit the Country Music Hall of Fame and Museum with your school group, family, or even for a senior citizen outing. A private charter bus or minibus is sure to keep everyone in your group satisfied during your time in Nashville. The buses we charter come with options of premium amenities like WiFi, climate-controlled interiors, cushioned reclining seats, and restrooms. Give us a call at 629-213-0794 to help find the perfect bus for your group’s trip. Here at National Charter Bus, we pride ourselves on making transportation solutions as simple as possible for large groups. No matter the distance or reason for traveling, we can help your group find the best travel accommodations. Our network of buses spans across the country, so if you’re traveling from other major cities like Atlanta, Indianapolis, and St. Louis, National Charter Bus has several travel options for your group. Charter buses can also function as airport shuttles for travelers coming into Nashville through Nashville International Airport. Each charter bus comes with a professional driver who can shuttle your group from the airport to hotels, restaurants, local attractions, and more. Nashville is home to various schools, colleges, and universities. Renting a charter bus for an academic field trip is perfect for students of all ages. Organize a school trip to one of many museums and theaters in the area like the famed Grand Ole Opry or Johnny Cash Museum. 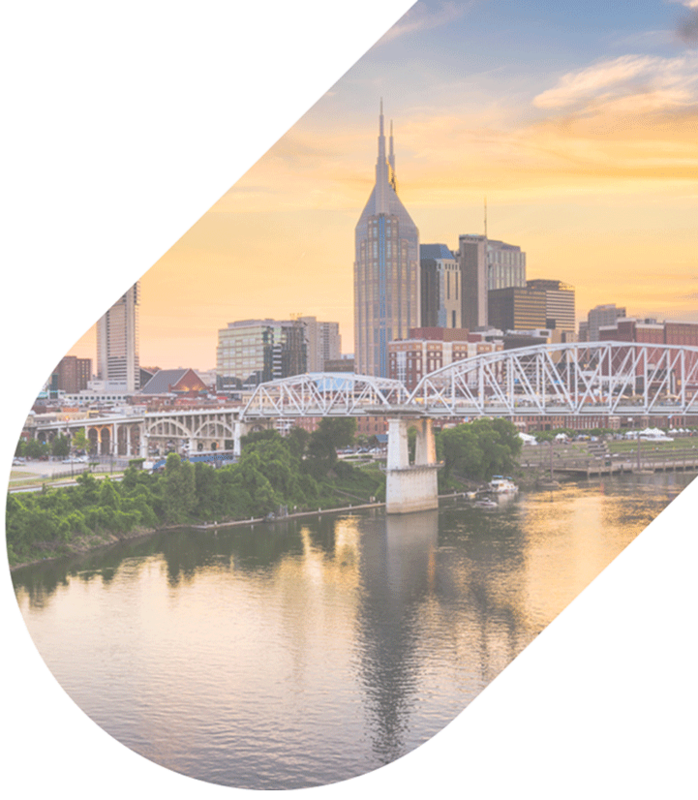 The buses we charter are modern and reliable, to keep even the youngest travelers safe during a trip in Nashville. National Charter Bus is also experienced in providing rental buses for college and university campus tours. Explore Vanderbilt University, Tennessee State University and more with your own private charter bus for your academic group. No matter the size of your school group, we can organize a fleet of buses to fit everyone. Full-sized motorcoaches fit up to 56 passengers and minibuses come in various sizes, ranging from 18 to 25 passengers. Minibuses are great for smaller school groups of one to two classes looking for quality, compact transportation. Full-sized charter buses are best for large groups or school organizations looking for plenty of space during a trip. If you’re planning a group vacation or large family event, a charter bus or minibus is the best option to make sure everyone is transported to locations efficiently. Private charter buses can be used as shuttles for family reunions, weddings, and other large personal events. Your charter drive can shuttle everyone to and from venues like the Opryland Resort & Convention Center. We ensure safe and timely travels for your important event to start on time. Nashville is a city filled with culture, history, and plenty of activities for groups to enjoy. Spend your time enjoying a show at the Ryman Auditorium or touring Nashville’s famous replica of The Parthenon. Leave the travel solutions to National Charter Bus and your driver. If you're not sure what bus is best for your group, give us a call 24/7 at 629-213-0794, and we’ll provide you with a free quote and assistance throughout the rental process.